The compelling new bestseller from the author of The Mersey Daughter and Winter on the Mersey. 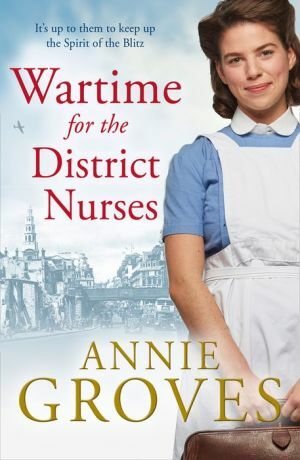 Alice Lake and her friend Edith have had everything thrown at them in their first year as district nurses in London’s East End. From babies born out of wedlock to battered wives, they’ve had plenty to keep them occupied. As rationing takes hold and Hitler’s bombers train their sights on London, there is no escaping the reality of being at war. Edith is trying to battle on bravely while bearing her own heartache but there’s no escaping the new terror of the bombing raids. The girls find themselves caught up in the terrible aftermath, their nursing skills desperately needed by the shaken locals on their rounds.